The number one mistake of hiring is not having a process. A close second is hiring a buddy, or “a good guy”. It’s the kiss of death. Not that working with solid, trusted relationships are wrong; in fact, they are essential. However, no more essential than hiring the right person for the right position. Great teams have hiring processes which include background checks, culture confirmation, skills validation, and ultimately, extensive interviewing by each team member, not simply the team leader. This is a term originated by one of our Massimo Group consultants and industry thought leader, Ralph Spencer, CCIM, SIOR. KASH stands for Knowledge, Attitude, Skills, and Habits. If you are looking for a business development leader, do they have the “KASH” for being a productive business developer? Same is true for an administrative assistant. Does your admin candidate have the “KASH” for being a great admin? Beyond one’s “KASH”, the ideal candidate will have the natural tendencies consistent with the role they will be filling on your team. As I have shared in prior blogs, top prospectors tend to be more naturally assertive and less structured. Likewise, someone who is fulfilling the business tends to be calmer and more structured. Dominant commercial real estate teams include natural behavior assessments in their hiring process. Anthropologists define culture as “the range of phenomena that are transmitted through social learning in human societies.” I like management thinker Marvin Bowers’ definition better. He said that culture is “the way we do things around here.” Teams built to dominate have a culture of hard work, accountability, and trust. During the interview process, candidates should be asked qualifying questions that demonstrate the values of your own team culture. 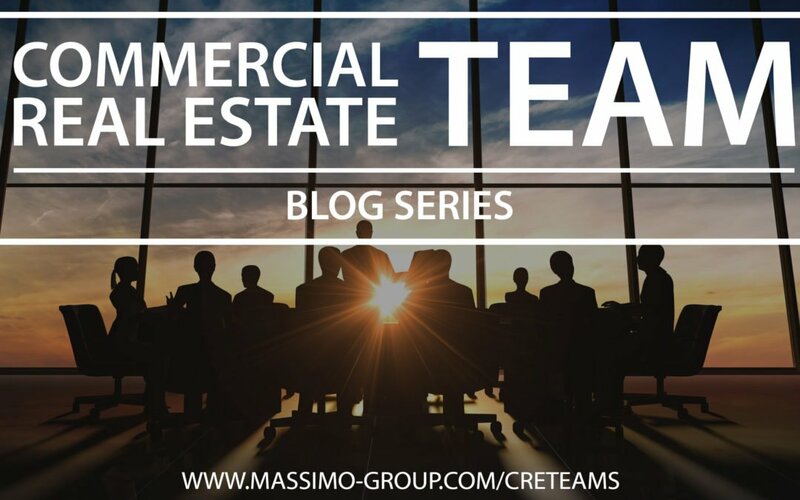 This concludes our CRE Team Blog Series. As you may have guessed, I have studied this evolution for the past 2 years and found that the “magic bullet” in commercial real estate success is being part of an integrated team.